Kim from In Our Write Minds is offering a free printable writing prompt for students. 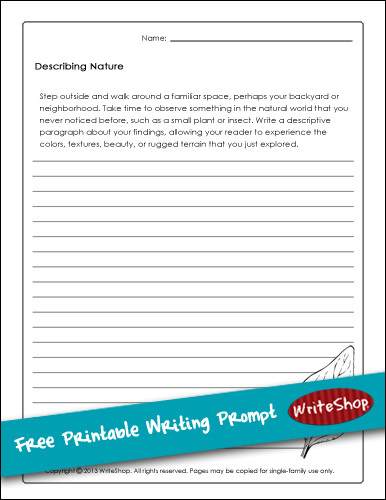 This writing prompt focuses on describing nature and is free for the month of September. Click here for additional writing freebies for your homeschool.